Shelf wear to edges and spine of DJ. Light soiling to spine heal. DJ and pages have yellowed due to age. DJ has small closed tears. 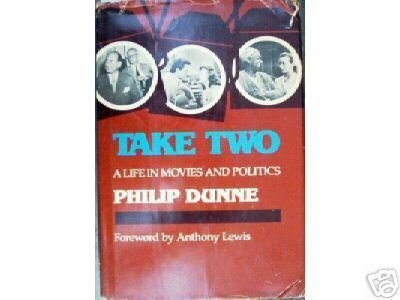 355 pages.Dunne describes with charm and humor his forty-year career at 20th Century-Fox as screen writer, director and producer. His closeup portrait of Darryl Zanuck is valuable and long over due. He assaults the Auteur Theory in pungent terms, gives us practical insights into writing and directing, and entertains us with anecdotes of life on the Fox lot and in Hollywood in the Golden Age and of his wartime service with Nelson Rockefeller and Elmer Davis. He also gives us fresh perspectives (contradicting some recent revisionist) on the ideological confusions of pre-World War II Hollywood-confusions that led inevitably to some of the worst excesses of the McCarthy and House Un-American Activities Committee era.Visit our eCRATER store forother great Books and save on shipping!Most books haveshelf wear and cover scuffing. Binding is tight. Actual covers may be different than stock photos. Pages may be yellowed due to books age. If condition is important, please ask for a more detailed description.INTERNATIONALSHIPPING: We ship worldwide for actual postage plus $1.75 handling. Buyer is encouraged to purchase insurance to guarantee safe delivery. International buyers must contact me for final costs before making payment.We only accept PayPal for International orders.Pay me securely with any major credit card through PayPal!